A blog we posted earlier this week about the Micromaster 420 troubleshooting referenced the Faults and Alarms list for the Micromaster series, so we decided that it would make sense to make the list of Micromaster 420 Faults and Alarms directly available. This is from the corresponding manual for the Micromaster 420 series, but it is buried within the manual which most people most likely don’t even have. Hopefully, this helps with your troubleshooting. Check out our article touching on Siemens Simodrive E/R Module Fault Troubleshooting, along with other Siemens series coverage. View our 420 Micromaster Drives in stock. For more information or to request a quote, please call 800-691-8511 or email sales@mroelectric.com. We also provide pre-priced Micromaster 420 Repairs. 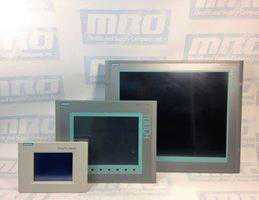 The Siemens 6AV2124-0GC01-0AX0 is a TP700 Comfort Panel with a 7 inch widescreen TFT display. It has 12MB of user memory, Windows CE 6.0, as well as Profinet and MPI/Profibus DP interfaces. The panel uses a 24V DC supply input, with a permissible range from 19.2 V to 28.8 V. It’s input current has a consumption of 0.5 A. When connecting the power supply, be sure to switch it off before connecting to the HMI. Check the correct polarity of the cables using the interface marking on the back of the panel. Once the power supply connector is in the corresponding socket of the HMI, switch on the power. The HMI is equipped with a reverse polarity protection circuit. Once the power is turned on, the 6AV2124-0GC01-0AX0 display will light up. If the panel fails to start, you may have crossed the cables at the power supply connector. Once the operating system starts, the desktop with the Start Center is displayed. The panel will automatically switch to “Transfer” mode during the initial startup if either no project is loaded on the HMI device, or if at least one data channel has been configured. The backlight on the 6AV2124-0GC01-0AX0 is good for roughly 80,000 hours. 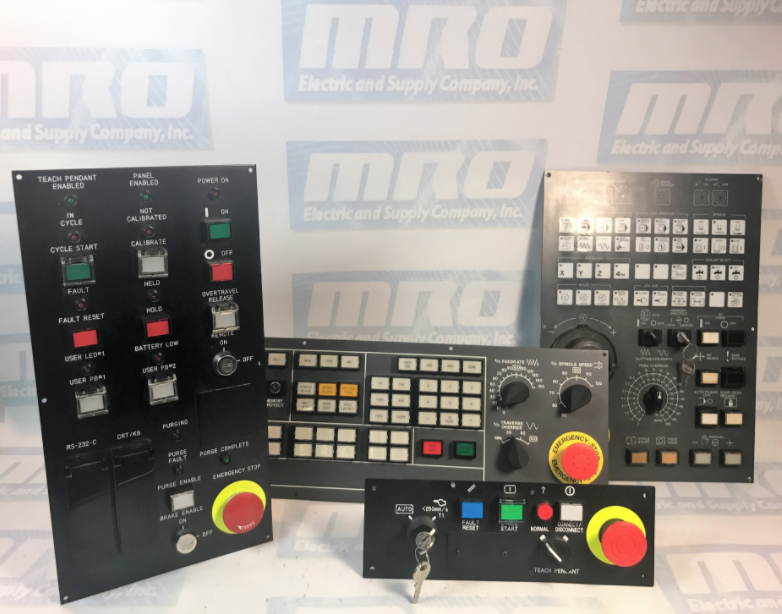 If your panel has been in use for longer and you are experiencing issues, you may want to consider contacting MRO Electric to order a replacement. The 6AV2124-0GC01-0AX0 offers excellent functionality and is configured exclusively with the outstanding HMI software, WinCC. The software is integrated into the engineering framework Totally Integrated Automation Portal (TIA Portal). Additionally, there a number of software add-ons available. These include WinCC/Sm@rtServer, WinCC/Audit, UPS, Microsoft Excel Viewer, Microsoft PDF Viewer, Microsoft Word Viewer, and printer driver. This panel is certified by a number of organizations to be used on marine vessels and certain hazardous areas. For more information on the 6AV2124-0GC01-0AX0 Comfort Panel or to request a price quote, please call 800-691-8511 or email sales@mroelectric.com. Below is the 6AV2124-0GC01-0AX0 datasheet and manual in PDF format.